What would you recommend to anglers fishing in Sooke, British Columbia? What would you recommend to anglers fishing in Sooke, British Columbia for the first time? We had a great afternoon with Travis. Although it was supposed to be choppy it did not turn out that way and he got us out to the hot spot in quick time in his spacious and very quick 28' boat with lots of room for the 5 of us. We were getting hits about 15 minutes later and with some coaching figured out how to keep the fish on the line. We got our first 14-15lb chinook in the boat after about 45 minutes. We eventually landed 5 fish in our afternoon of fishing. Travis was very active and had a great rapport with my 11 year old niece, eventually getting some floss dancing going to attract the fish. It was a great afternoon with my relatives who had never been salt water fishing and at a very competitive price, which was a bonus. He will be the first call when we need a captain again. Fantastic place to fish as we were within ten minutes from the marina allowing more time for the rods to be in the water for Salmon fishing. I highly recommend the Sooke area and we will be back again. Amazing salmon fishing! Give yourself plenty of time to figure out the conveluted online fishing license website. As a non Canadian resident, halibut is not allowed in the waters around sooke. If you want halibut and Salmon, port Renfrew is the place to be from what I understand. If in sooke, book with Travis! Make your booking with Tory Howe of Goin Coastal - then just relax, knowing you'll have a great experience! Great fishing I caught my daily limit. The weather was perfect. Wonderful experience, looking forward to spring fishing again in Sooke, hoping to catch Halibut. Take in the beauty of the area. 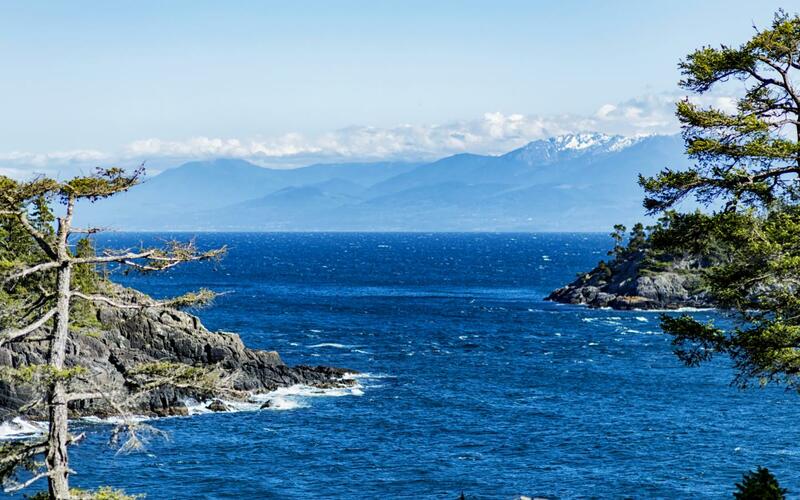 The Sooke area is wonderful. Take in the scenary and enjoy the water. Be prepared for changing weather and dress accordingly. Bring motion sickness medication. Plan to bring home plenty of fish. Chinook salmon are prevalent during this time of year, although I did catch (& release) my 1st ever sockeye with rod and reel. We are not experienced fisherman so not much advice. Find a good guide and dress warm. Talk with Tory or Al these guys know where the fish are and what to use for bail. What would you recommend to anglers fishing in Vancouver, British Columbia for the first time? What would you recommend to anglers fishing in Ucluelet, British Columbia for the first time?